[lmt-post-modified-info] If you are considering forming an LLC, getting a will written or other online legal services you will want to compare the top firms – LegalZoom vs Rocket Lawyer. Looking for the right legal service online for your business needs, and considering Legalzoom or Rocket Lawyer? 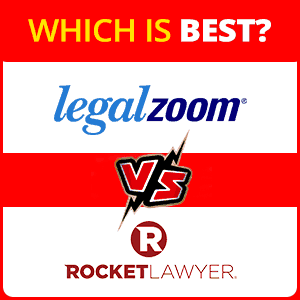 Here’s a comparison review based on my professional … Continue reading Legalzoom vs Rocket Lawyer – Which is Best?